Published on November 21, 2014 in Australia's noisiest bloggers, AustralianBlogs.com.au and Cool Websites and Blogs. 0 Comments Tags: Bondi Squash, East Coast Squash Academy, Sydney Squash, Willoughby Squash. Every month, Australian Blogs selects an Australian Blog Of The Month from its registry of more than 5,000 blogs. This month’s featured blog is http://www.eastcoastsquashacademy.com.au/blog. Click on the image below to check it out. Published on October 31, 2014 in Australia's noisiest bloggers, AustralianBlogs.com.au and Cool Websites and Blogs. 0 Comments Tags: Mental Toughness, Mindset Of A Champion, Sports Psychology. Every month, Australian Blogs selects an Australian Blog Of The Month from its registry of more than 5,000 blogs. 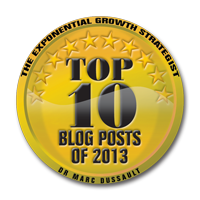 This month’s featured blog is http://www.marcdussault.com/mindset/blog/. Click on the image below to check it out. Published on September 26, 2014 in Australia's noisiest bloggers, AustralianBlogs.com.au and Cool Websites and Blogs. 0 Comments Tags: Floatation Tank, Melbourne Massage, Melbourne Myotherapy, Melbourne Spa, Myotherapy, Remedial Massage, Therapeutic Massage. Every month, Australian Blogs selects an Australian Blog Of The Month from its registry of more than 5,000 blogs. This month’s featured blog is http://blog.innerouterhealth.com.au/. Click on the image below to check it out. Every month, Australian Blogs selects an Australian Blog Of The Month from its registry of more than 5,000 blogs. This month’s featured blog is http://www.maxpak.com.au/blog. Click on the image below to check it out. Published on July 30, 2014 in Australia's noisiest bloggers, AustralianBlogs.com.au and Cool Websites and Blogs. 0 Comments Tags: Ultimate Edge Communications. Every month, Australian Blogs selects an Australian Blog Of The Month from its registry of more than 5,000 blogs. 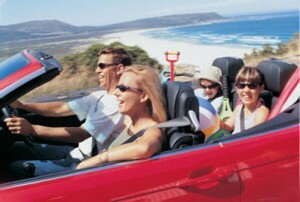 This month’s featured blog is http://www.ultimateedgecommunications.com.au/blog. Click on the image below to check it out. If you would like your blog to be featured, your blog needs to be registered and once that is done, contact us. Your blog must be “Australian” to be listed in the directory listing. Published on June 20, 2014 in Australia's noisiest bloggers, AustralianBlogs.com.au and Cool Websites and Blogs. 0 Comments Tags: Dog Blogging, Dog Country Club, Melbourne Dog Blog. Every month, Australian Blogs selects an Australian Blog Of The Month from its registry of more than 5,000 blogs. This month’s featured blog is http://www.dogscountryclubandkennelresort.com.au/blogl. Click on the image below to check it out. Published on May 5, 2014 in Australia's noisiest bloggers, AustralianBlogs.com.au and Cool Websites and Blogs. 0 Comments Tags: Australian Blog Of The Month, Best Australian Blogs, Nebo Engineering. Every month, Australian Blogs selects an Australian Blog Of The Month from its registry of more than 5,000 blogs. This month’s featured blog is http://www.neboengineering.com.au/blog.html. Click on the image below to check it out. Published on April 18, 2014 in Australia's noisiest bloggers, AustralianBlogs.com.au and Cool Websites and Blogs. 1 Comment Tags: Australian Blog, Best Australian Blogs, Successful Endeavours, Top Australian Blogs. Every month, Australian Blogs selects an Australian Blog Of The Month from its registry of more than 5,000 blogs. This month’s featured blog is www.successful.com.au/blog/. Click on the image below to check it out. Published on March 31, 2014 in Australia's noisiest bloggers, AustralianBlogs.com.au and Cool Websites and Blogs. 1 Comment Tags: Australian Blog Of The Month, Brisbane Doggy Day Care, Paddington Pups. Every month, Australian Blogs selects a Blog Of The Month from its registry of more than 5,000 blogs. This month’s featured blog is www.paddingtonpups.com.au/blog/. Click on the image below to check it out. Published on March 17, 2014 in Australia's noisiest bloggers, AustralianBlogs.com.au and Cool Websites and Blogs. 0 Comments Tags: Inspire Blog, Inspire Fitness, Melbourne Fitness Blog. Every month, Australian Blogs selects a Blog Of The Month from its registry of more than 5,000 blogs. 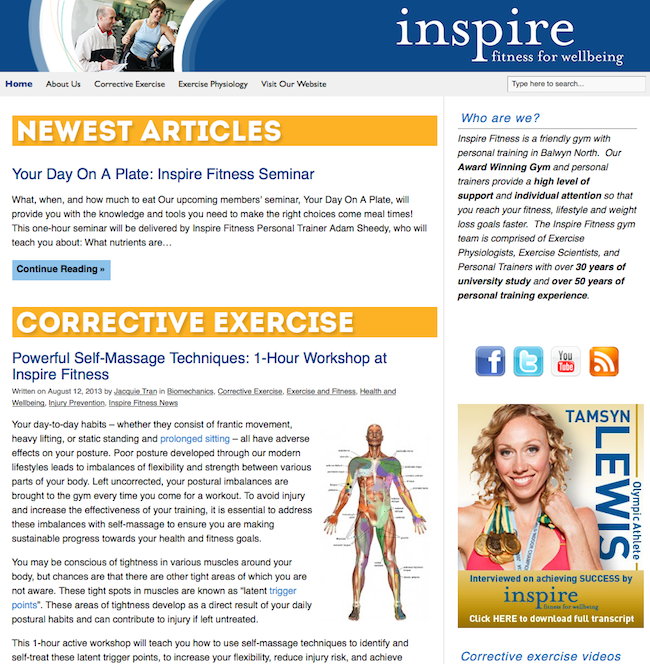 This month’s featured blog is www.inspire-fitness.com.au/blog/. Click on the image below to check it out. Published on January 24, 2014 in Australia's noisiest bloggers and Cool Websites and Blogs. 1 Comment Tags: Aussie Blogs, Australian Blogs, Blog of the month, Cool Aussie Blogs, Floatation Tank Melbourne. Every month, Australian Blogs selects a Blog Of The Month from its registry of more than 5,000 blogs. 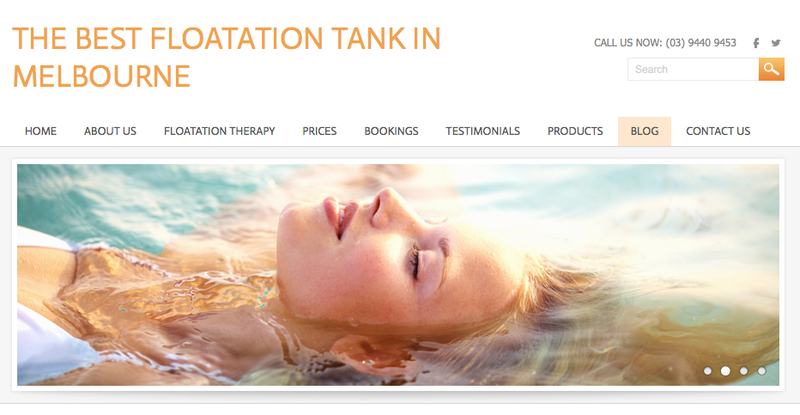 This month’s featured blog is www.FloatationTankMelbourne.com.au. Click on the image below to check it out. Published on December 31, 2013 in Cool Websites and Blogs and General. 0 Comments Tags: Best Blog Posts 2013, Top Blog Posts 2013. Published on November 8, 2013 in Australian Jokes, AustralianBlogs.com.au, Cool Websites and Blogs and Fun. 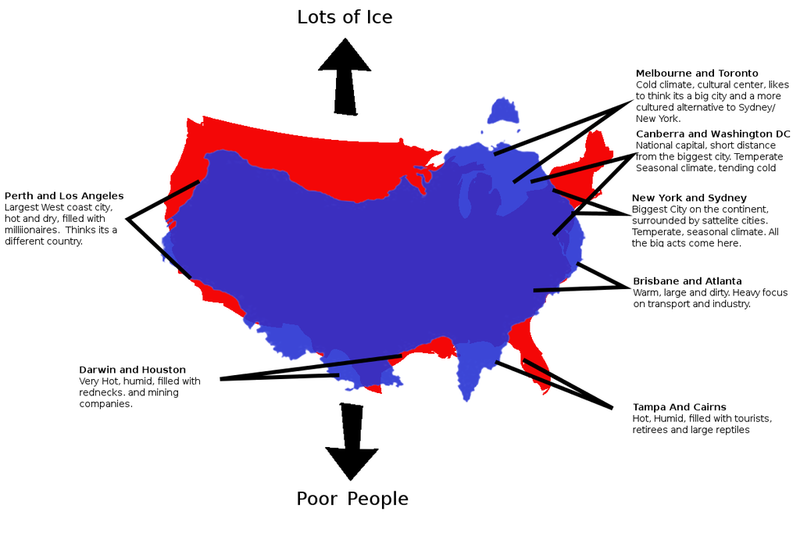 1 Comment Tags: America versus Australia, AUS vs USA, US v Australia. Here is another funny comparison of the US and Australia… Provided by Ray Keefe of Successful Endeavours in Melbourne, Australia. Click on the map image below for the original source of the image where lots of other great maps can be found. Published on June 28, 2013 in Cool Websites and Blogs, Fun, General and Research. 1 Comment Tags: Charity shops, clothing bargains online, designer clothing, ebay, high quality used clothing, one-of-a-kind designer and vintage wear, Second-hand stores, shop for used clothing, vintage boutiques, vintage clothing, wear a unique look. Second-hand stores are big business these days. Whether it’s due to a downturn in the economy or a desire to wear a unique look rather than the same high street trends as everyone else, more and more consumers are shopping for used clothing. Charity shops, vintage boutiques, estate sales, and consignment stores are all great sources of high quality used duds. Yet you can also find even better bargains online, even buying used clothing using your mobile phone with apps like the one provided by Quicksales! This and eBay are two of the biggest names in resale goods, yet there’s a wealth of designer and vintage clothing available at low cost for savvy shoppers. The following are a few tips to keep in mind as you start your hunt. It’s difficult to set a budget when you’re not really sure what things are going to cost until you start searching. However, it’s wise to set an upper limit on what you’re willing to spend or you could get carried away bidding on sites like eBay and end up spending more than you would have on brand new clothing! Even in most charity shops, you can try on used clothing to see if it fits. There’s a certain gamble when you shop for used clothing online, however, because you not only can’t try it on but you may be purchasing a vintage or unknown brand. Most sellers will list the measurements of garments for sale, or should be able to provide this for you if you send a request. This can be far more accurate than the size on the label. One way to search for used clothing online is to browse through categories on sites like eBay. However, most ecommerce shops and online marketplaces also have a search function, so you can look for specific brand names. Try different combinations of keywords to increase your chances of finding what you’re looking for. For example, instead of just searching for “women’s top,” you can look for “halter top vintage” to find a chic 70′s summer top. Many online shops will offer special deals or information about sales via their social media profiles or blogs. Big marketplaces like Quicksales.com.au have Facebook profiles which allow you to stay in touch with what’s happening. This could alert you to a sudden sale or new items of clothing coming in that match what you’re looking for. If shipping and return policies aren’t made clear in a listing, it’s worth taking the time to contact the seller to find out more. Even with measurements and accurate photos, sometimes an article of clothing simply won’t be what you expected, and you don’t want to have to relist it yourself. By shopping around and using all the online tools available, you can find some truly superb bargains online. Fill out your wardrobe with one-of-a-kind designer and vintage wear, or simply stock up on basics. The key is to have fun with it and don’t be afraid to keep looking for a better deal. With the fast pace of the internet, one is most likely just a click away. Published on January 24, 2013 in Branding, Business Growth, Cool Websites and Blogs, Internet Strategies and Lead Generation. 0 Comments Tags: Australian Retailers, Online Presence, PayPal, Professional Templates, Reliable Payment Gateway, Retail Website, Web Design Tips, Web Hosting Solutions, Website Design. According to recent statistics compiled by competitions.com.au, 79% of Australians use the internet on a daily basis. They’re using the internet for communication, recreation, and for online shopping. This led to $33 billion dollars in ecommerce sales in 2012, with the number expected to increase to $37.1 billion in 2013. If you’re a business owner who has yet to create an online presence, now’s the time to tap into the market. Yet while most businesses have websites, not all of these are seeing the brisk level of sales that they could. 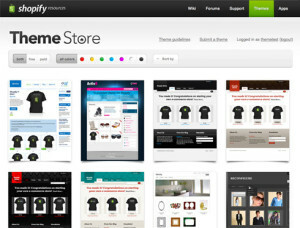 A well-designed retail website will not only help draw in customers, but it will encourage them to visit time and again. There are a few tips that can help you make sure your website stands out from the competition. Use Professional Templates If you run a small business and don’t have the time or money to hire a professional web design team, you may want to look into all-in-one web hosting solutions. These website builders will offer you the ability to pick and choose from hundreds of templates, which you can then customise to fit your unique brand. The best templates will be elegant and easy to navigate. At the moment, minimalism is a top trend in web design. Don’t be afraid to try out several different designs, changing fonts, colours, or other small details every couple of weeks and analysing the results. This will help you determine the layout that will give you the best results. Choosing the best website builder will get you off to a great start when it comes to web design. Yet the actual content that you post is extremely important. 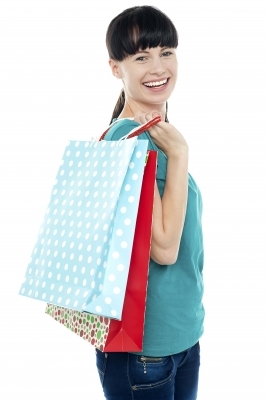 For online retailers, this will usually include photos and descriptions of physical products. Be sure not to underestimate the importance of a stylish, flattering photo. Because customers won’t be able to see or touch the product in person, they will be relying on photos to make their purchasing decision. Photograph as many small details as possible, using sufficient lighting. Offering a 360 degree view of the product or even a short video of its use by a model can also enhance your web design. Although many online retailers add a shopping cart as a last minute detail, this is actually one of the most important facets of designing a successful retail website. You can lure the customer in with your appealing design and top-notch products, but if the checkout system is too lengthy and confusing you’ll lose the sale. There are numerous payment gateways that you can connect to your website, including credit card companies and third-party processors such as PayPal. Using ecommerce software is a good way to connect these gateways to your website with seamless integration. Allow friends to try out your shopping cart system to see how it can be improved, always striving for a one-page payment process. By paying attention to the various design features on your website and how they work together, you can create a unique shopping experience for your online customers. This will put you in line to share in the booming ecommerce market in Australia. Published on October 5, 2012 in Australian News, Cool Websites and Blogs, General and News. 1 Comment Tags: Australian Astronomy, Ice In Space, IceInSpace. 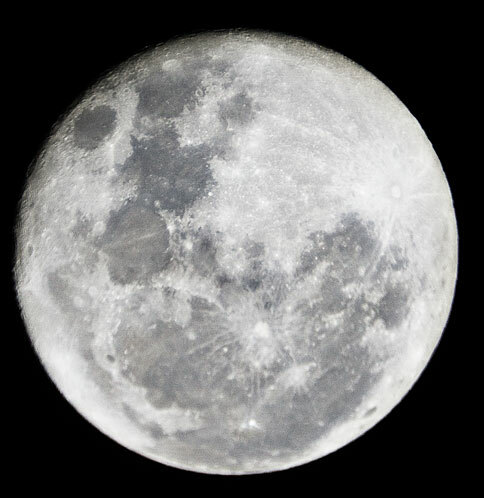 The material for this post was provided by Ray Keefe of Successful Endeavours who is an amateur astronomer and member of IceInSpace, the Australian Amateur Astronomy community. Australian astronomers are a surprisingly active group with some recent recognition on the world stage. 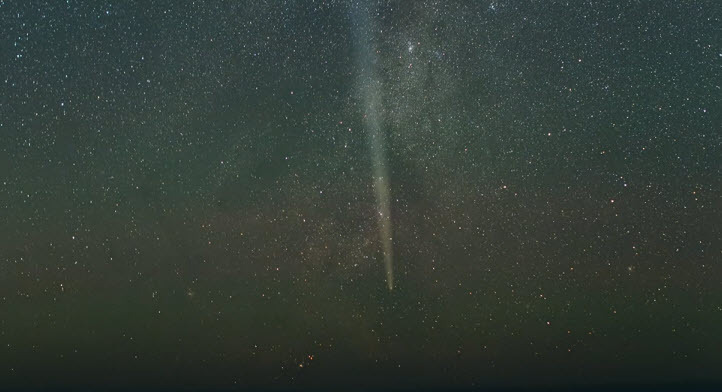 First there was Australian Astrographer, Colin Legg, who won the first prize in the David Malin Awards animation category to be covered in a future blog post. 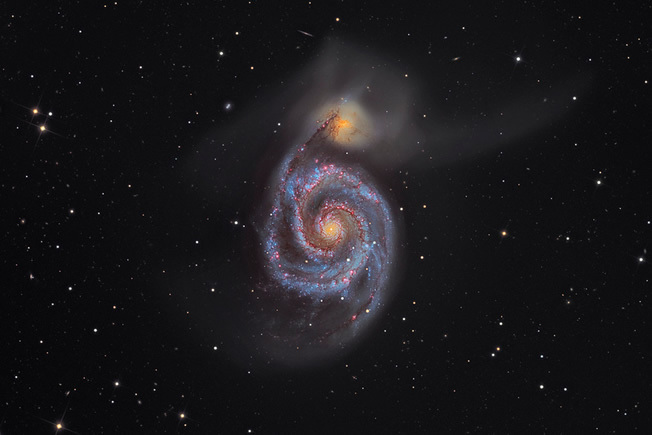 And now Martin Pugh has been recognised in the Astronomy Photographer of the Year competition held by the Royal Observatory for his picture of the Whirlpool Galaxy. IceInSpace run a monthly newsletter and have an extremely active forum allowing interaction between members on a wide range of topics. Typically a forum is more interaction than a blog and is a better format for a widely varying multi-way dialogue like this. You can check out the IceInSpace forums at http://www.iceinspace.com.au/forum/index.php. A good example of the sort of news you get from them is the upcoming Solar Eclipse on 13th November which is visible in Australia just after dawn. If you are in Western Australia the sun will rise eclipsed!